Papers were included in the Congress programme following the payment of the registration fee by, at least, one of the authors, by 7th June 2015. 2.1. Certificates of presentation of papers will be issued exclusively in the name of the authors and co-authors who have paid the registration fee for the Congress. 2.2. Certificates will be delivered at the time of presentation, to those who are there to present the paper. If the presenter is not an author or co-author of the paper, this presenter will not be entitled to the certificate of presentation. 2.3. The distribution of papers in the various sessions (rooms) will be based on the name of the author or co-author indicated as "presenter" of the paper". The name of this presenter was included in the submission of papers, when the abstract was provided by the author. In the case of symposia only, the names of all the authors will be considered. 2.4. Any change in the name of who will present the paper must be registered with the Organising Committee in advance. This is to avoid the allocation of the same presenter, at the same time, in different sessions. 2.5. If a paper cannot be presented by its authors, co-authors or third parties, the Organising Committee must be informed in advance so that the sessions and presentations can be appropriately allocated. 2.6. Certificates will not be issued for papers that are not delivered at the Congress. 3.1. Full papers delivered at Congress will be published on-line, free access, and include the name and data of all authors and co-authors. 3.2. We are pleased to announce that the on-line Book of Proceedings, will be published on behalf of NASEN by publishers Wiley, up to the end of September, 2015. 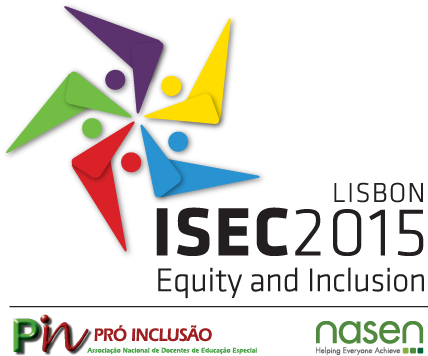 ISEC2015Lisbon strongly suggests that all authors present their papers with a methodology that encourages dialogue and the exchange of ideas and experiences with the entire "audience". Please try to ensure that participants can truly "participate", not being exclusively "audience". Since no visual description nor sign language interpretations will be available at the concurrent sessions, remember to prepare your presentation to be as acessible as possible. 4.1. Poster presentations: 90-minute sessions which visually present a research study, program or ­project. Poster presentations should be designed to foster maximum interaction with the audience. Poster presenters must attend the entire session where your work will be displayed. Maximum space for posters: A0 (841mm Width X 1189mm Height). The posters should be displayed vertically, in the places that will be indicated by the Organizing Committee. Format and material of the poster: there is no restriction! We ask the authors to use the maximum of imagination and creativity. Since the work can be posted vertically, without damaging the walls, respecting the space size, respecting the cohexistence with other posters displayed and the author bring the specific material to display the poster, it can be on paper or other material, on 3D, tactile, only with images, in the form of maquette etc. Take this chance! No audiovisual equipment is provided for poster sessions. 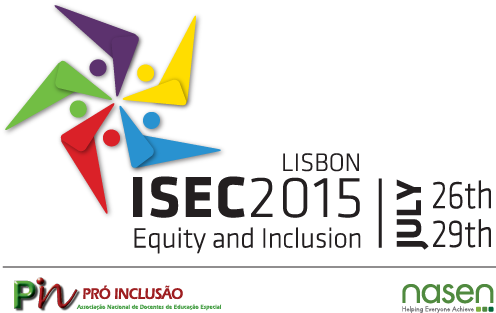 In case you need a special support, contact the Organizing Committee till 13th of July, 2015. 4.2. Oral presentations: 90-minute sessions in which 5 or 6 delegates are given 10 minutes maximum each to present their papers. Presenters are encouraged to use 9-10 minutes of presentation and leave the remaining time to answer questions or remarks from the audience. 4.3. Video presentations: 90-minute sessions in which delegates are given up to 10 minutes each to present their videos and leave the remaining minutes to answer questions or remarks from the audience. 4.4. Symposia presentations: a 90-minute symposium presentation provides opportunities to examine a specific research problem or topic through an international, comparative, or worldwide lens and to bring diverse perspectives, intensive discussion or a wide range of expertise. 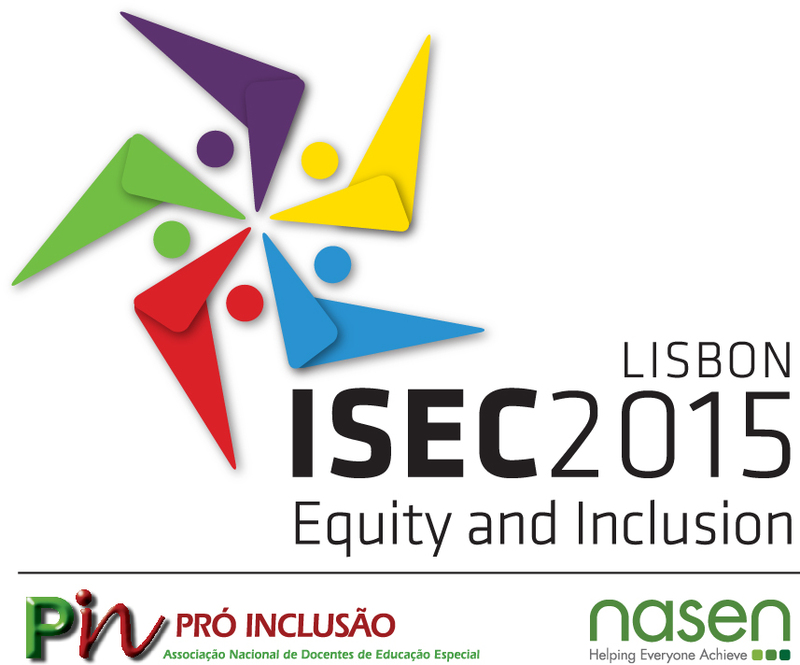 An ISEC2015 Lisbon symposium session is proposed by an organizer (chair author), together with three or four other co-authors (five presenters maximum) and, as all presentation types, must provide the maximum interaction with the audience. Multimedia projectors (data-show) and computers (Windows) are provided for oral, video and symposia presentations. Whenever possible, it is suggested that presenters use their own laptops to avoid hardware or software incompatibility. 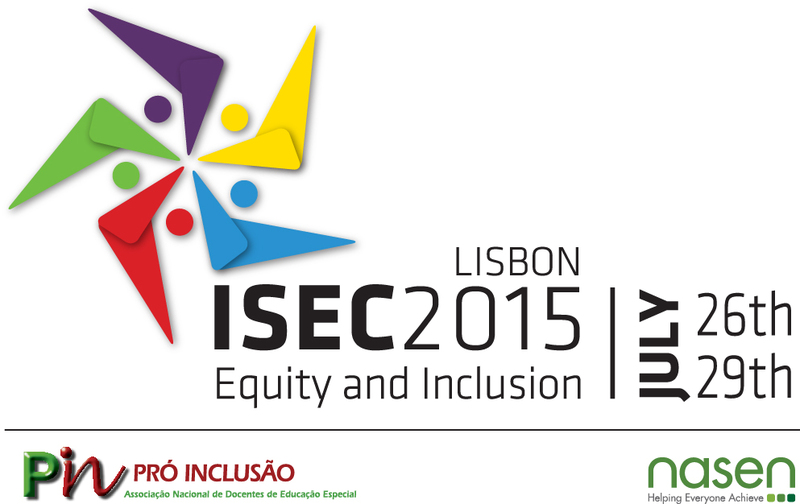 ISEC2015 Lisbon will be held in English and Portuguese. Plenary sessions (keynote conferences, roundtables, opening and closing ceremonies, running in the Auditorium FMD) will have Portuguese-English interpretation and Portuguese Sign Language interpretation (LGP - Portuguese from Portugal). ﻿﻿Concurrent sessions (running in the Institute of Education classrooms) will not have interpretation or translation available.